Proviz have been fortunate to work with some leading global brands and organisations from a variety of industries to create bespoke branded products that fit their particular need (see some case studies below). Often this can be either be in the form of a white label of a particular Proviz product which we can add your logo to and if required we can add bespoke features to. We also have the expertise, experience and supplier relationships to make bespoke products for something specific that a brand or organisation require (we have incorporated headphones and a bottle opener into a bespoke reflective jacket for a very well known global beer brand and made bespoke cycle helmets for one of the largest global mobile phone companies.) We can also do licensing agreements. The order can be in the form of a co-brand if brands wish to align with Proviz or purely a white label custom logo arrangement with no reference to Proviz, you just use our expert factories. Our factories have the ability to manufacture small or extremely large volume orders and in a complete variety of fabrics, they do not need to necessarily be reflective or hi viz materials, they can me any fabric or colour. We work to your requirements and the companies have always been pleased with the speed of response, the quality of the products and the positive effect they have. When taking a brief, our design team will do a mock up of your product if required which you sign off and your order is made entirely bespoke to you. We also take care of all shipping and import duties so we take any hassle away for you and your goods will arrive at your chosen address. We have had the pleasure to work with both small and global businesses and always love to hear how we can help you, here are a few case studies below and please contact us at [email protected] to discuss any opportunities and we will get back to you within 24 hours. If you are looking for a smaller order are are happy with the products to come with Proviz branding on, please see the Proviz Customised section. Proviz worked with Nightrider Event to provide custom tabards and vests for competitors and marshalls. Proviz worked with Google in San Francisco to provide one of their departments with bespoke REFLECT360 Jackets. Proviz worked with Cycling Ireland to create a personalised cycling vest for some of their events. Proviz worked with Ironman UK to provide LED Arm bands for competitors. 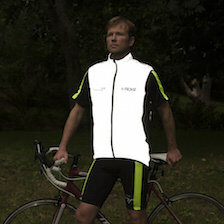 Proviz worked with Neo Cyclista, a large retailer in Japan to provide custom REFLECT360 Cycling Gilets. Proviz worked with MRM racing to provide REFLECT360 Jackets for all their pit crew. Proviz worked with leading New York courier company Supreme Systems to provide custom REFLECT360 Jackets for all their cycle couriers. Proviz worked with England Athletics to provide branded REFLECT360 Running X Vests for their Run Leaders and club members. Proviz worked with the Bike Project, a leading cycling charity to provide customised REFLECT360 Cycling Jackets. Proviz worked with Applause Store who fill out audiences for X Factor, BGT etc, to provide staff with a bespoke REFLECT360 Outdoor Jackets. Proviz worked with Virgin Sports to provide marshalls with customised Nightrider Vests at the London Marathon. Proviz worked with Rent Electric in Barcelona to provide them with branded gilets for staff and users of their bike hire rental scheme. 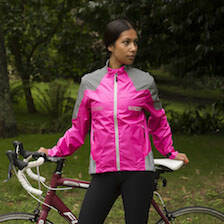 Proviz worked with Love To Ride to add their logo to our best selling REFLECT360 Cycling Jacket. 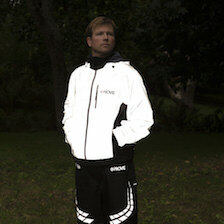 Proviz worked with Nuclear Races to customise our REFLECT360 Outdoor Jacket for their competitors. Proviz worked with the Running Club at Tyrills to provide a bespoke version of our Running Gilet. Proviz worked with Open Door Hospitality, a luxury valeting company in USA, providing their employees with bespoke REFLECT360 Jackets. Proviz worked with Jersey Post to provide all their postman with an entirely bespoke cycling jacket. 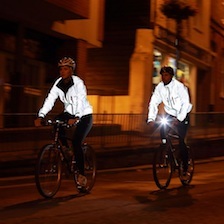 Proviz worked with Lightson PTSD charity with gilets for a large cycling challenge. Proviz worked with Pedal Me, a pedal powered taxi service in London, to provide customised cycling jackets. Proviz worked with Run for Your life Running organisation to provide bespoke running vests. Proviz worked with the world renowned Professional Cycling Team, Team NovoNordik to provide customers kit for their team. Proviz worked with the leading Australian Cycling Club to provide white label gilets for their members. Proviz worked with AOS in USA to provide customer Active Tees for their employees. Proviz worked with the Downer Group in Australia to provide custom gilets for their employees. Proviz worked with Group 4 to provide bespoke REFLECT360 Outdoor Jackets. Proviz worked with Responsible Young Drivers in Belgium to provide customised REFLECT360 CRS Jackets.